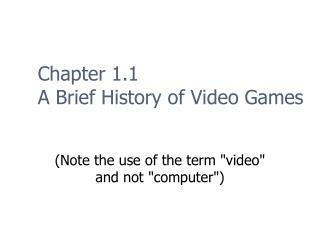 History of Video Games. 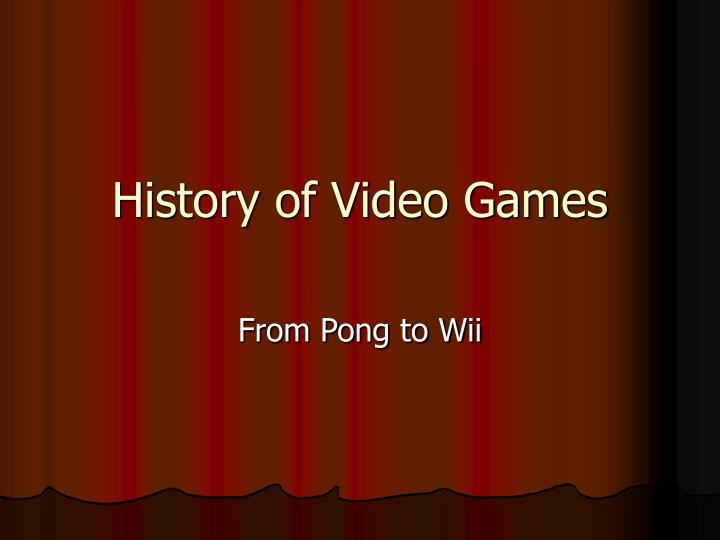 From Pong to Wii. Introduction. 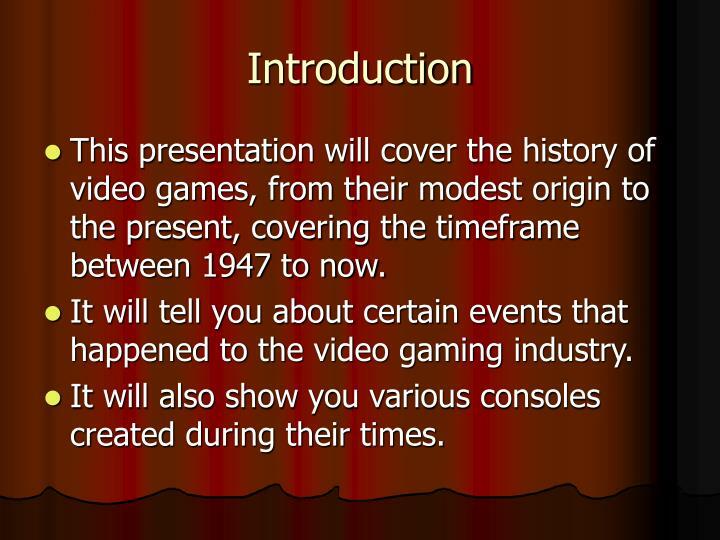 This presentation will cover the history of video games, from their modest origin to the present, covering the timeframe between 1947 to now. 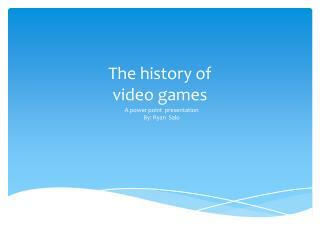 It will tell you about certain events that happened to the video gaming industry. 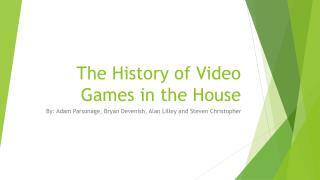 This presentation will cover the history of video games, from their modest origin to the present, covering the timeframe between 1947 to now. 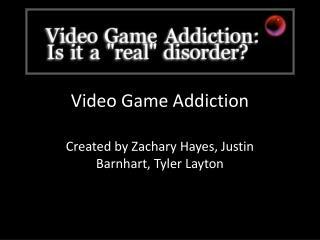 It will tell you about certain events that happened to the video gaming industry. 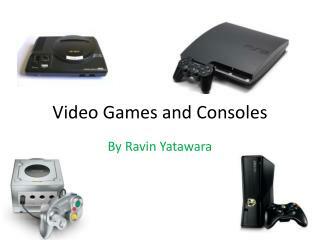 It will also show you various consoles created during their times. 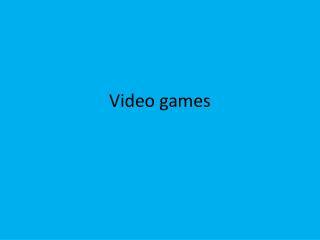 The first video game was believed to be made in 1947. The game was a simulation of a missile being fired at a target. 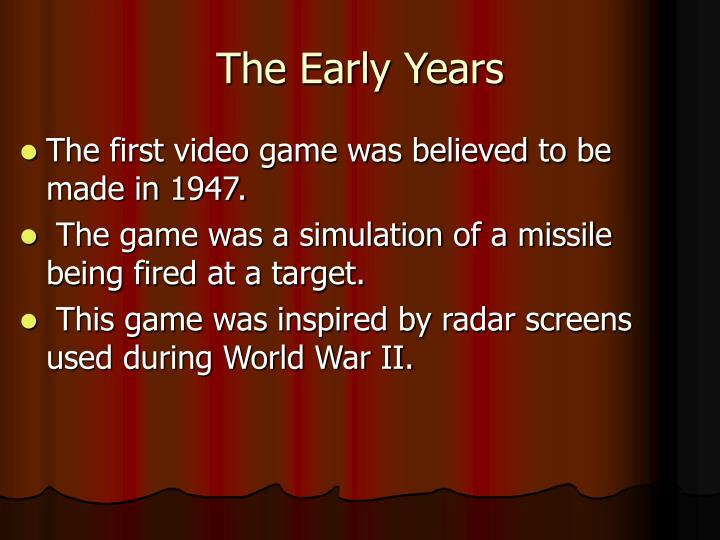 This game was inspired by radar screens used during World War II. 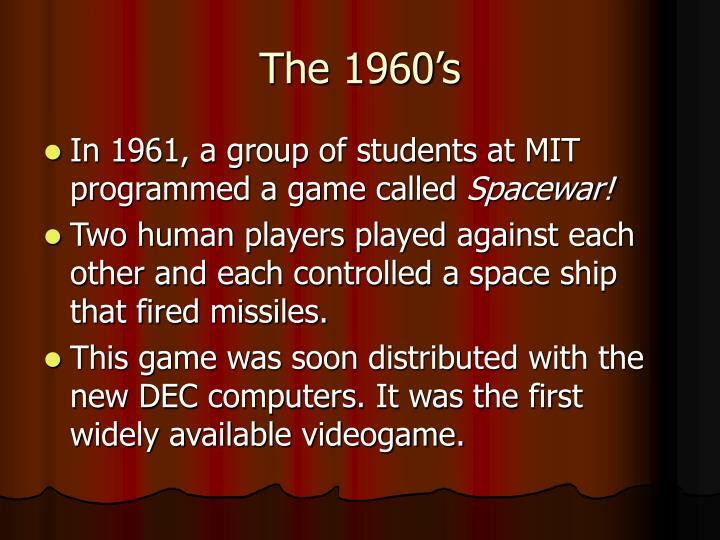 In 1961, a group of students at MIT programmed a game called Spacewar! Two human players played against each other and each controlled a space ship that fired missiles. This game was soon distributed with the new DEC computers. 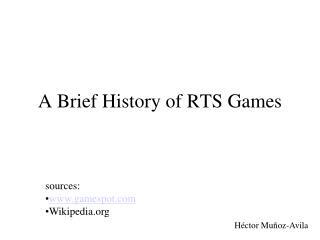 It was the first widely available videogame. 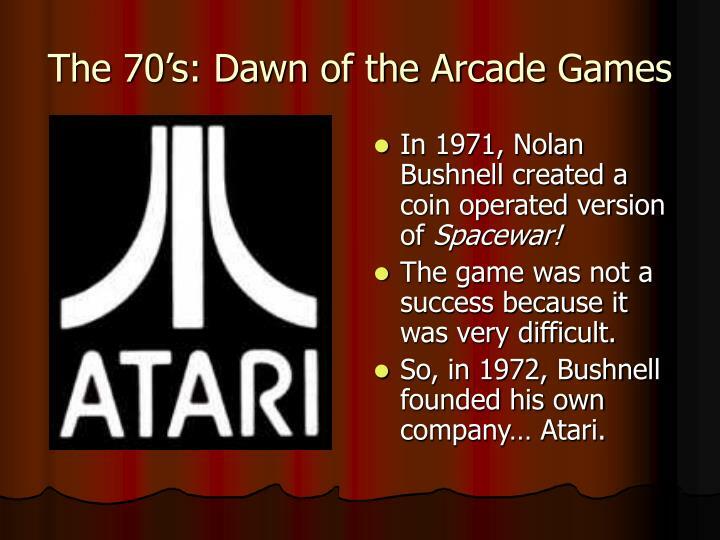 In 1971, Nolan Bushnell created a coin operated version of Spacewar! The game was not a success because it was very difficult. So, in 1972, Bushnell founded his own company… Atari. 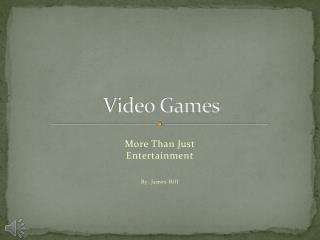 Atari was the pioneer for home video games. 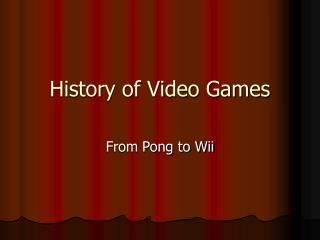 Their most popular game was PONG (based on table tennis). 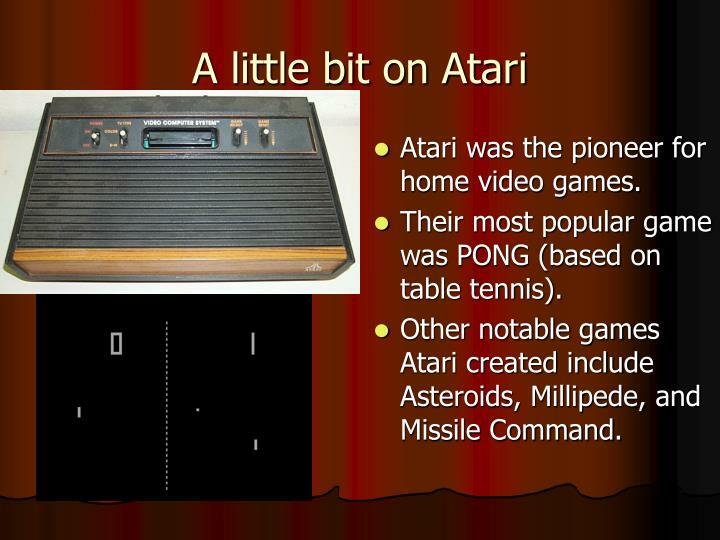 Other notable games Atari created include Asteroids, Millipede, and Missile Command. 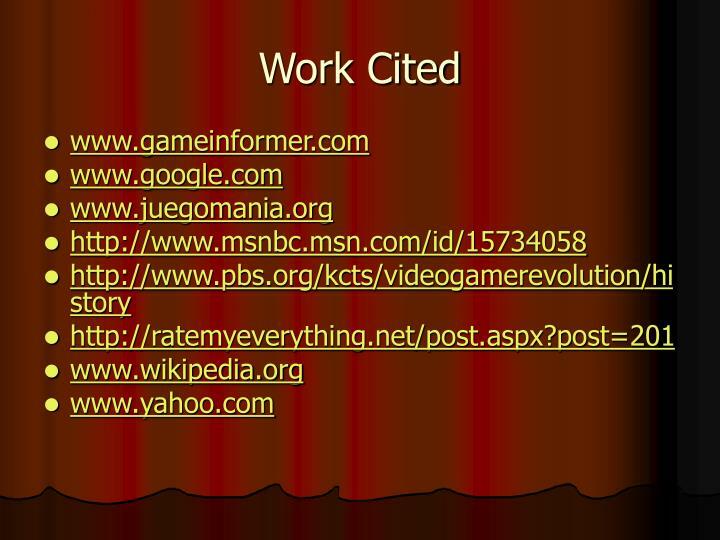 This was the era that Space Invaders, Asteroids, and Pac Man were created. 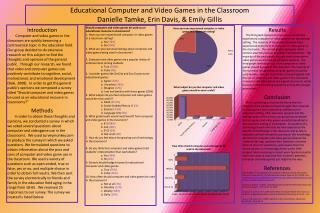 Arcade games became more popular with the addition of color graphics. 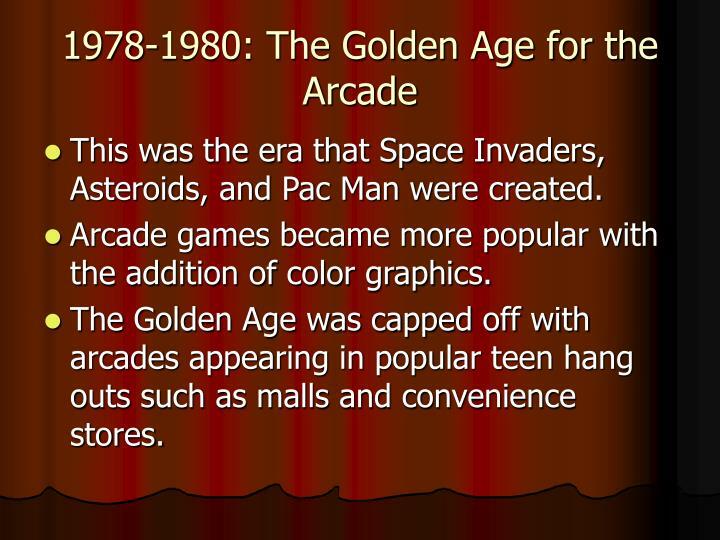 The Golden Age was capped off with arcades appearing in popular teen hang outs such as malls and convenience stores. 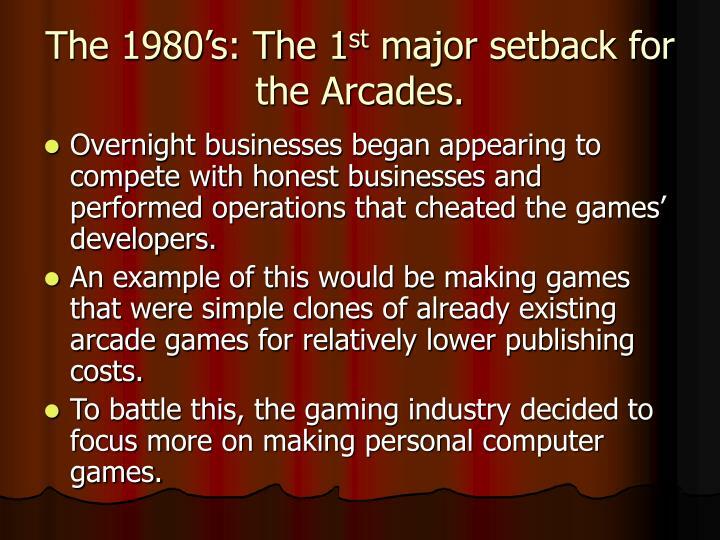 The 1980’s: The 1st major setback for the Arcades. 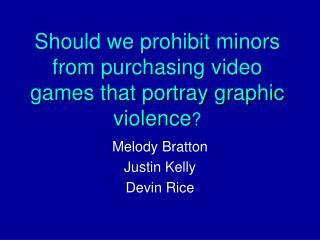 Overnight businesses began appearing to compete with honest businesses and performed operations that cheated the games’ developers. An example of this would be making games that were simple clones of already existing arcade games for relatively lower publishing costs. 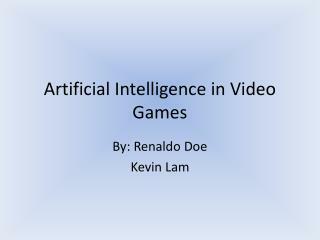 To battle this, the gaming industry decided to focus more on making personal computer games. 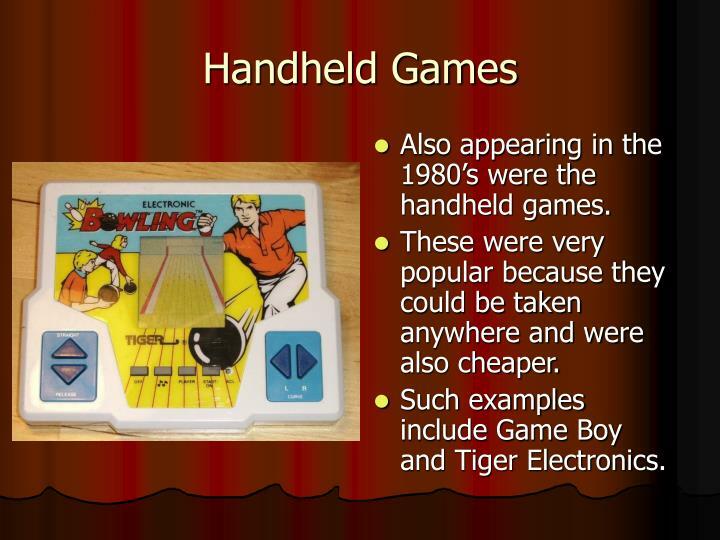 Also appearing in the 1980’s were the handheld games. These were very popular because they could be taken anywhere and were also cheaper. 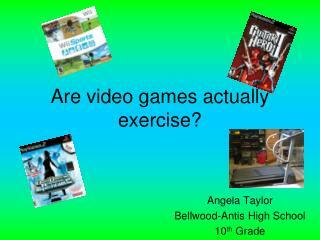 Such examples include Game Boy and Tiger Electronics. 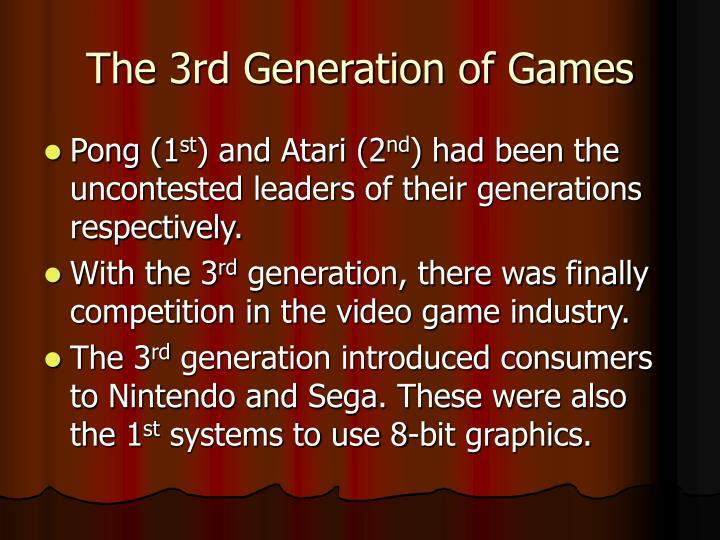 Pong (1st) and Atari (2nd) had been the uncontested leaders of their generations respectively. 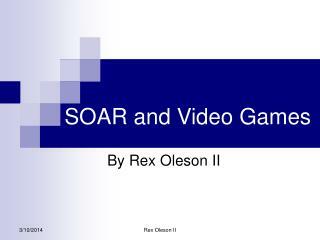 With the 3rd generation, there was finally competition in the video game industry. 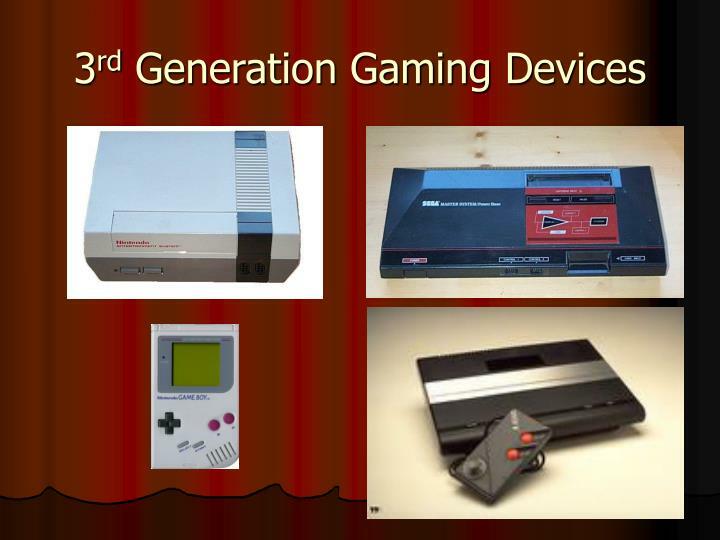 The 3rd generation introduced consumers to Nintendo and Sega. These were also the 1st systems to use 8-bit graphics. 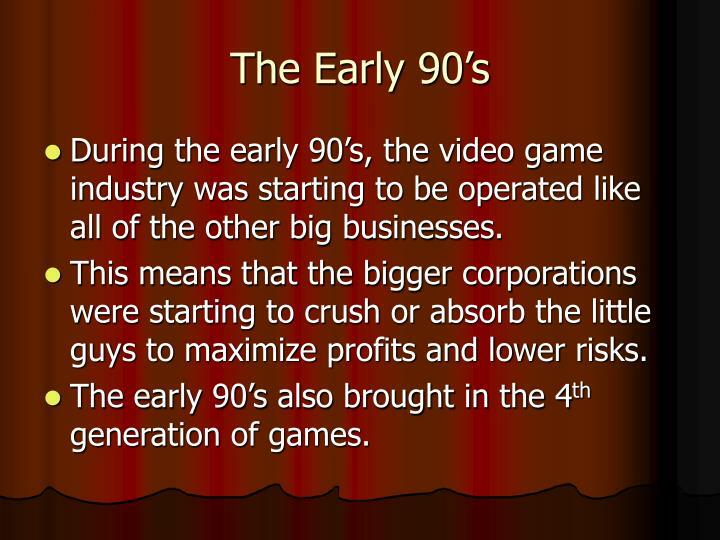 During the early 90’s, the video game industry was starting to be operated like all of the other big businesses. This means that the bigger corporations were starting to crush or absorb the little guys to maximize profits and lower risks. 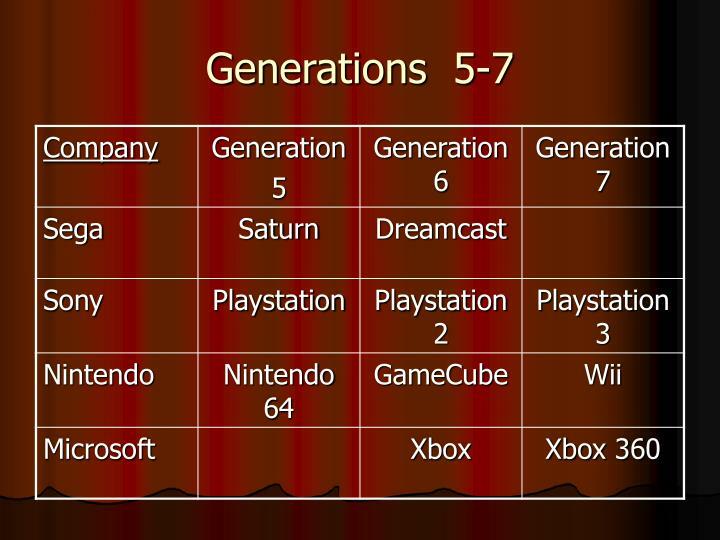 The early 90’s also brought in the 4th generation of games. 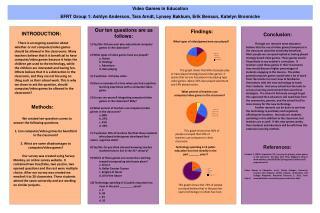 The 4th generation games improved from 8-bit to 16-bit. This generation introduced us to the first person shooters and survival horror genres with Wolfenstein and Alone in the Dark, paving the way for classics like Doom and Resident Evil. 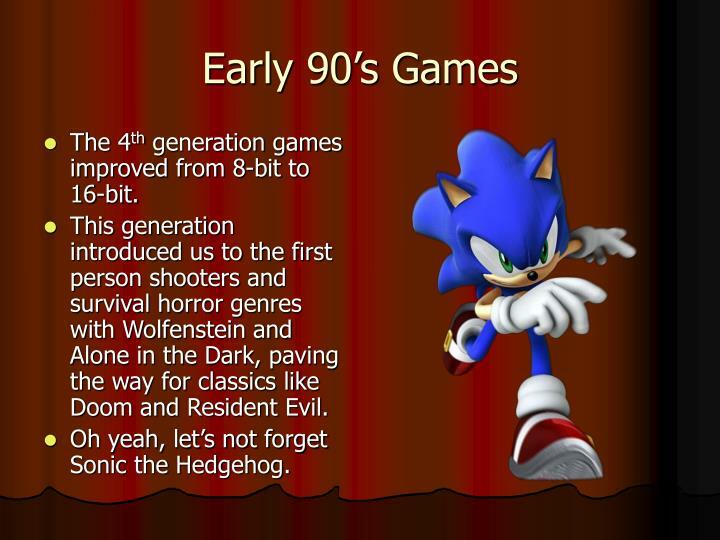 Oh yeah, let’s not forget Sonic the Hedgehog. The 4th Generation of games brought something else to the 90’s: Violence and blood. 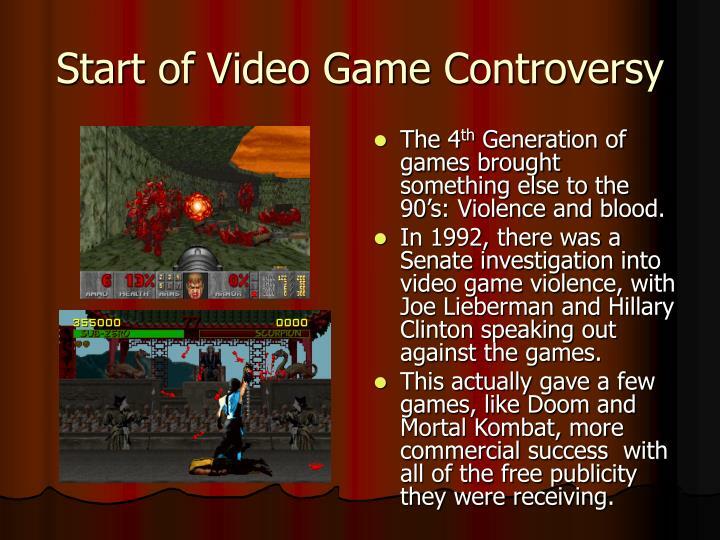 In 1992, there was a Senate investigation into video game violence, with Joe Lieberman and Hillary Clinton speaking out against the games. This actually gave a few games, like Doom and Mortal Kombat, more commercial success with all of the free publicity they were receiving. 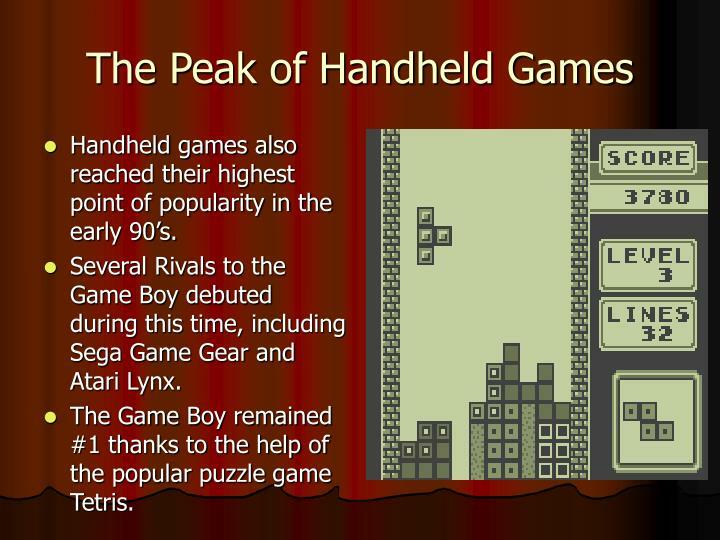 Handheld games also reached their highest point of popularity in the early 90’s. Several Rivals to the Game Boy debuted during this time, including Sega Game Gear and Atari Lynx. The Game Boy remained #1 thanks to the help of the popular puzzle game Tetris. 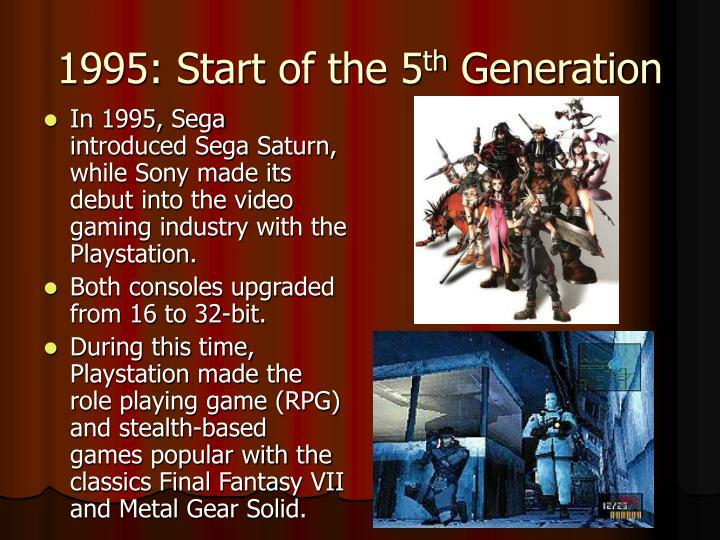 In 1995, Sega introduced Sega Saturn, while Sony made its debut into the video gaming industry with the Playstation. Both consoles upgraded from 16 to 32-bit. 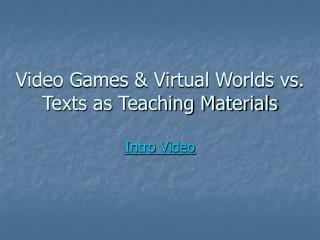 During this time, Playstation made the role playing game (RPG) and stealth-based games popular with the classics Final Fantasy VII and Metal Gear Solid. 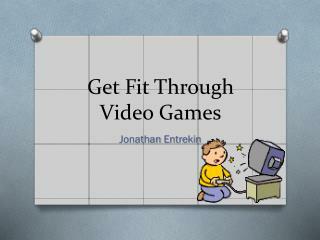 With the consoles switching from 16-bit to 32-bit, home video games began to approach the looks of arcade games. Most people would wait for the games to appear on their home consoles rather than going out. 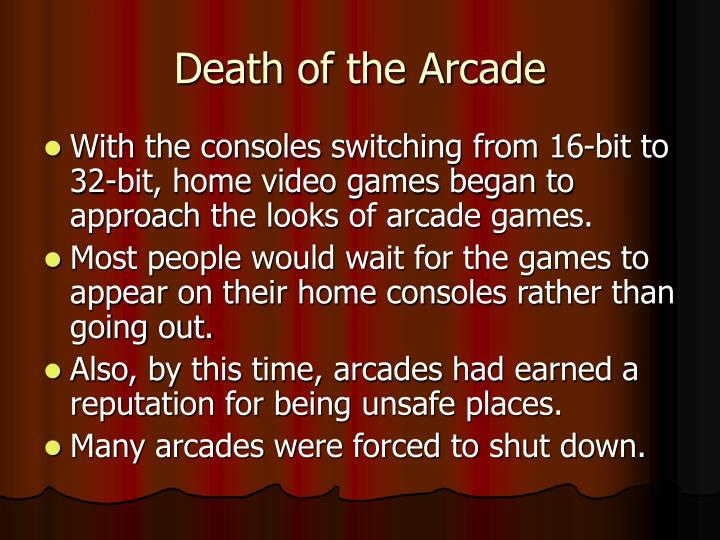 Also, by this time, arcades had earned a reputation for being unsafe places. Many arcades were forced to shut down. 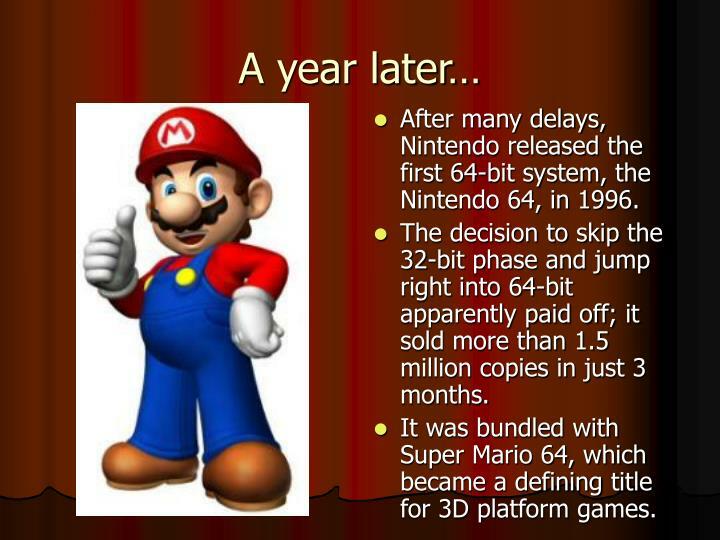 After many delays, Nintendo released the first 64-bit system, the Nintendo 64, in 1996. The decision to skip the 32-bit phase and jump right into 64-bit apparently paid off; it sold more than 1.5 million copies in just 3 months. 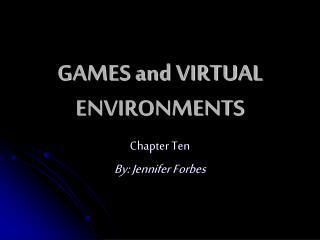 It was bundled with Super Mario 64, which became a defining title for 3D platform games. 2000: The Sims is released. It becomes the #1 selling computer game of all time, passing Myst. 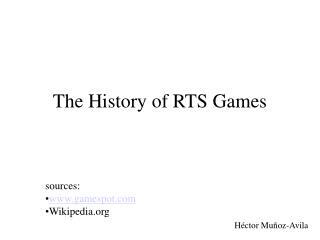 2001: Microsoft enters the video game industry with the release of Xbox. 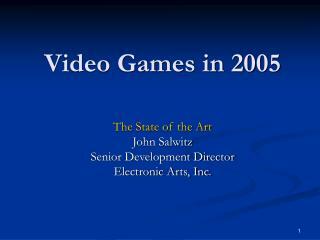 2002: Sega becomes a 3rd party developer for Nintendo, Sony, and Microsoft. 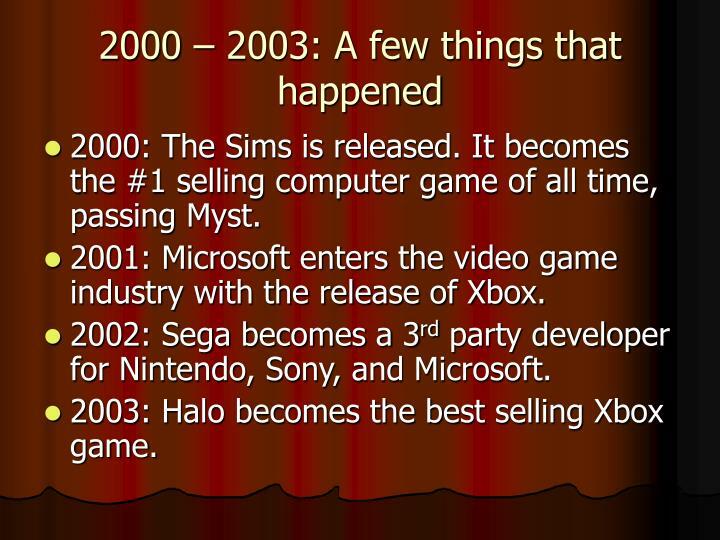 2003: Halo becomes the best selling Xbox game. 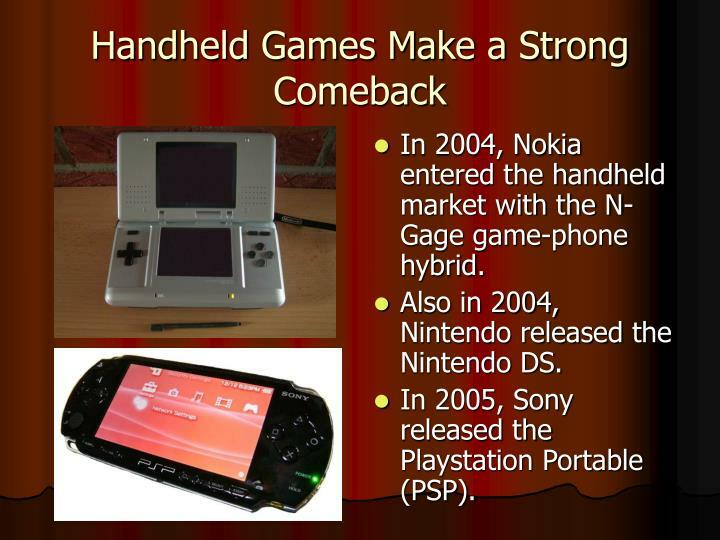 In 2004, Nokia entered the handheld market with the N-Gage game-phone hybrid. Also in 2004, Nintendo released the Nintendo DS. In 2005, Sony released the Playstation Portable (PSP). Earlier this month, Nintendo released their newest video game console, the Wii, which features a new remote-control shaped controller. 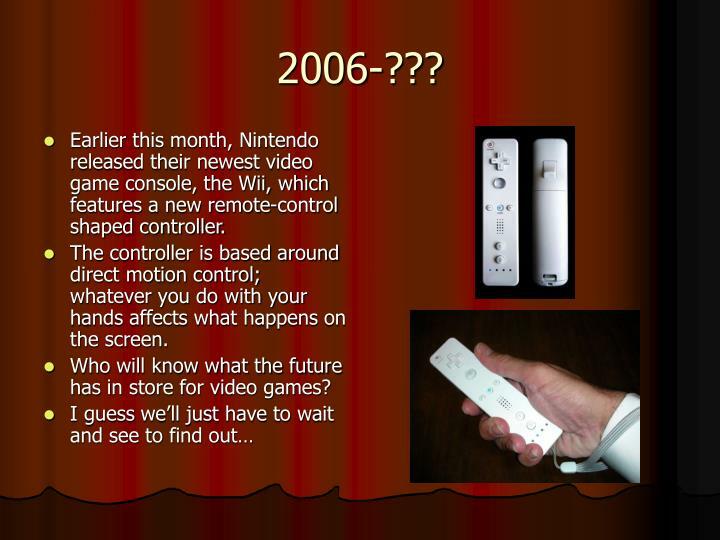 The controller is based around direct motion control; whatever you do with your hands affects what happens on the screen. 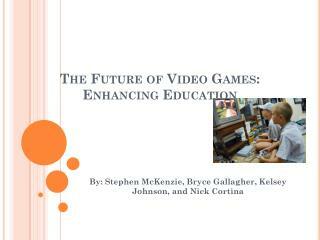 Who will know what the future has in store for video games? 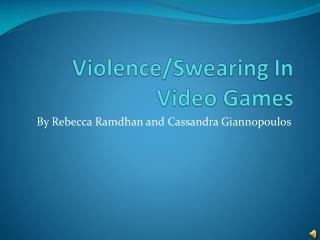 DO VIOLENT VIDEO GAMES -. affect kids. 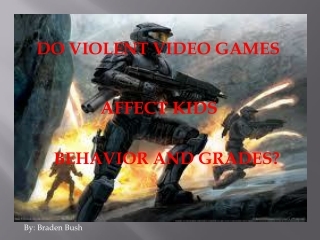 behavior and grades?. by: braden bush.